Steam locomotive class 38 of the Austrian Federal Railways with round smokestack. Operation condition: 1960s. Model with low flanges, all metal wheels, free standing conduits and many separately attached plug in parts, LED lighting, short coupling cinematics on both sides with NEM-shaft. Steam locomotive series 38 of the Austrian Federal Railways in the operation condition of the 1960s. 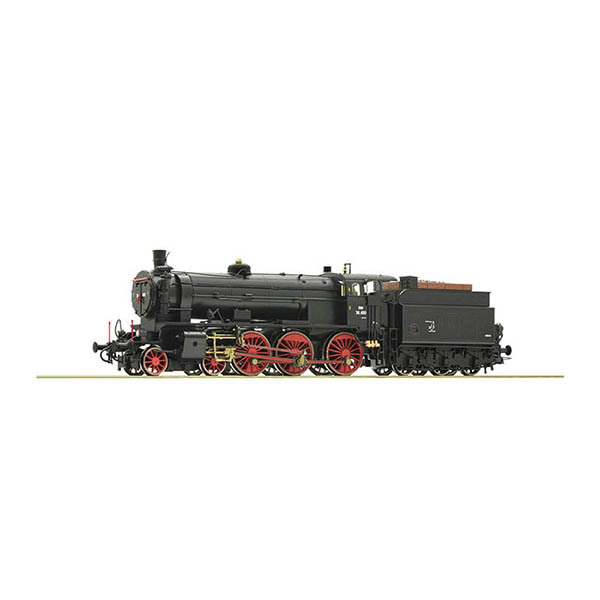 The locomotives of the series 109 formed the conclusion and also the highlight of the 2‘C locomotives in Austria. With them, the travel time between Vienna and Trieste was reduced from 13.5 to 10.5 hours. The ÖBB decommissioned the last locomotives in 1967.